Oh I love Need to Breathe! I've seen them twice in concert. Once with Train another favorite band of mine! Your "hee hees" are making me smile this morning! I love Big Daddy Weave. I've been listening to an acoustic station on Pandora. I've figured out I can concentrate better on my writing if there aren't lyrics. I've actually been listening to some soothing piano lately. I know… it doesn't fit my personality in the least, but words in my ears have distracted me from the ones in my head lately. Okay, now I sound crazy. I'll stop now. LOL! While you ARE crazy, that didn't sound at all crazy…said the other crazy! I know I just saw that! It's all about music today. Jill Kemerer posted about music as well. They are awesome! I saw Big Daddy Weave in concert once. I listen to the Christian radio in the car, but here at work, I've been listening to the showtunes station. Peps me up when I really don't want to be here! And you know me…music is like water to me. I couldn't live without it!! There's a lot of music talk today. Love it! Oh I love that song, Cindy! I cry every time! Love this, Jessica! You will have to create a dedicated fan page now. 🙂 Ha! 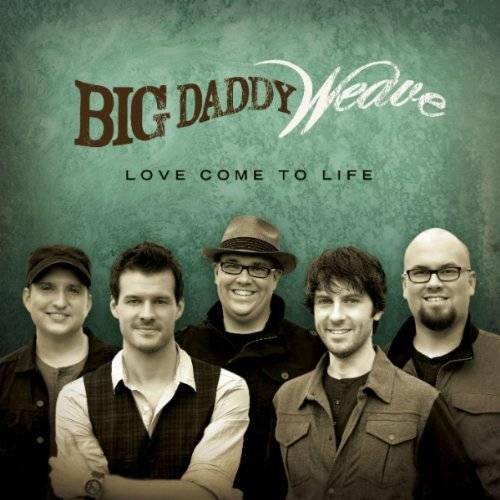 I'm sure I've heard Big Daddy Weave, but their name and their songs are clicking together for me. I'll have to check them out! I just downloaded their newest CD Love Come to Life and it's amazing. Got some perfect songs for the new WIP! I might just create that page! I've never heard of this group. Will have to check them out. Gwynly and I discovered a new-to-us group recently called Celtic Thunder. I love their sound. I had a fellow scribe ask me about a specific Evanescence song… and now I've been listening to Amy Lee all week off and on, old and new stuff. Great to work out to… if I worked out. I tend to sit out and rock out and space out and wish I could go out, but work out? That one is like way, way, way down at the bottom of the list this week. Sigh. Love NeedtoBreathe. Keli – we're big Celtic Thunder fans. And Celtic Women fans. I also love Nora Jones, Diana Krall, and Sarah Maclachlan to write to. They just stir my angsty, romantic soul. Plum. Oh my. She's awesome, too. AND she's a believer! I will say I like Owl City, no matter how nerdy that might sound…and I like some of BarlowGirl. Lately, I've been running the Brandon Heath song "Your Love" over and over on my ipod.